On June 27, 2017, OSHA proposed the new electronic reporting rule compliance date be delayed until December 1, 2017 to allow for further review of the electronic reporting requirements prior to their implementation and allow affected entities sufficient time to familiarize themselves with the electronic reporting system, which will not be available until August 1. 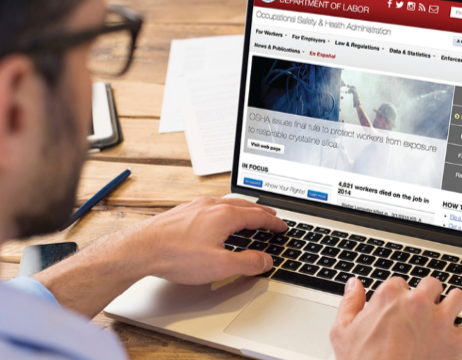 In addition, OSHA has invited the public to comment on the proposed deadline extension by at www.regulations.gov (the Federal e-Rulemaking Portal), by mail (OSHA Docket Office, Docket No. OSHA-2013-0023, Room N-3653, U.S. Department of Labor, 200 Constitution Avenue NW., Washington, DC 20210), by telephone (202-693-2350 or TTY (887) 889-5627), or if your submissions, including attachments, are not longer than 10 pages, you may fax them to the OSHA Docket Office at (202) 693-1648. All comments must be submitted by July 13, 2017. OSHA also advised that it intends to issue a separate proposal to reconsider, revise, or remove other provisions of the prior final rule. OSHA will seek comment on those provisions in that separate proposal.